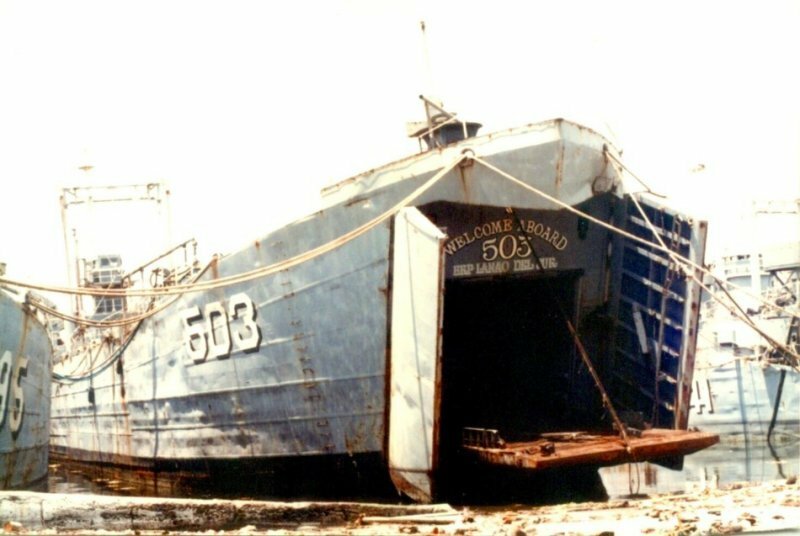 Laid down, 29 July 1943, at Missouri Valley Bridge and Iron Co., Evansville, IN. 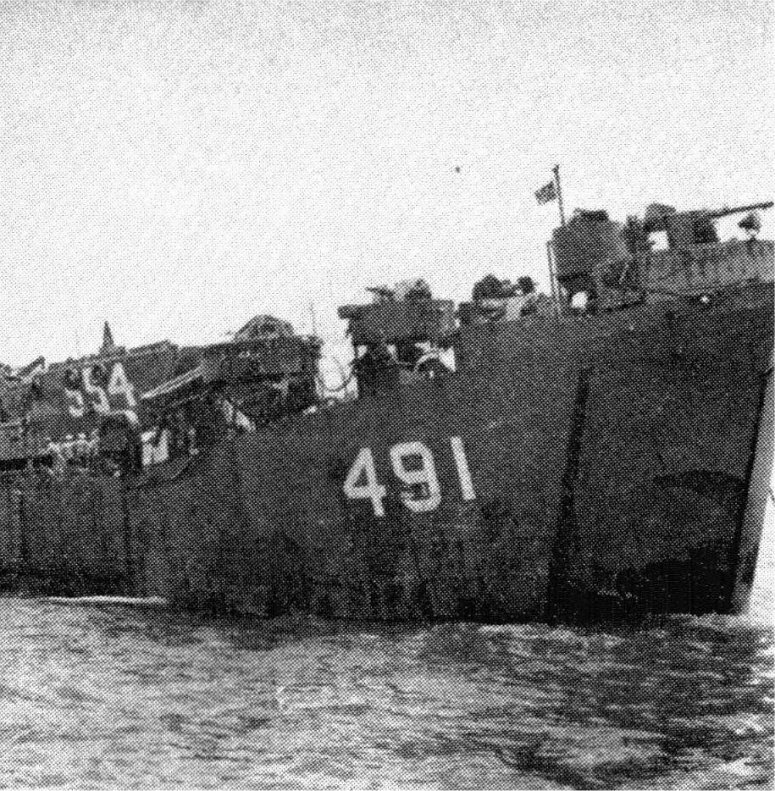 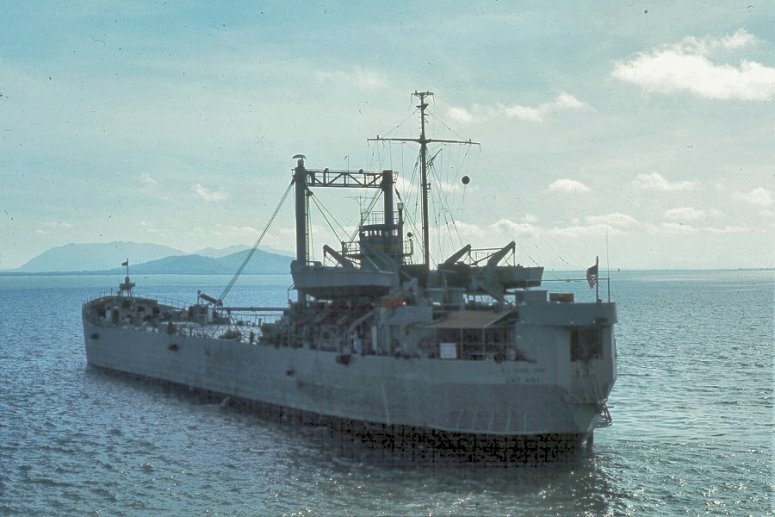 218k USS LST-491 at Plymouth, England with a calculated list in preparation of launching LCT-554 after completing the North Atlantic crossing in convoy. 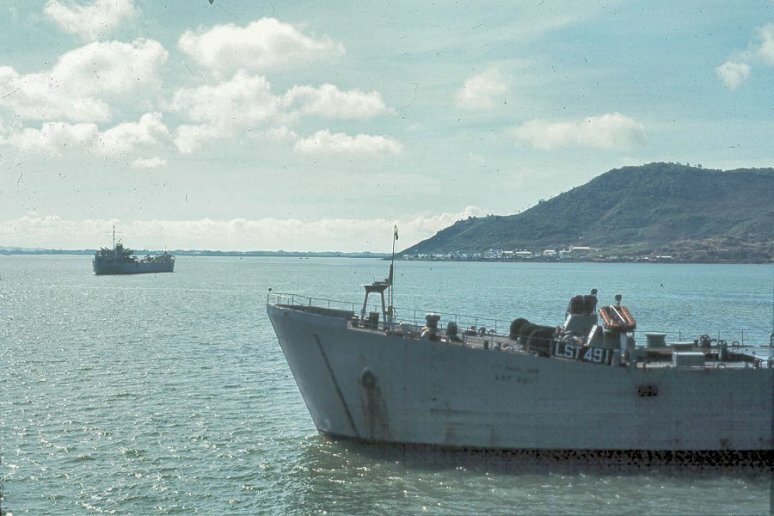 Photo contributed by Russ Padden, Caption contributed by Dwight W. Blakeslee, MoMM1C USNR, USS LST-491 and USS LST-1089.